From Barbizon, follow l'Allée des Vaches to the East, and park the car at the bar of La Caverne aux Brigands (Chalet de la Caverne). 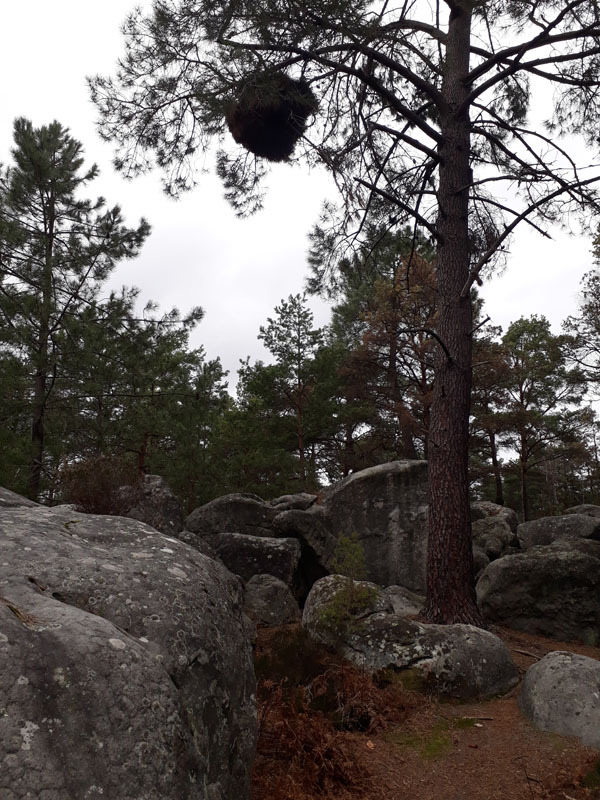 Follow La Route Marie-Thérèse for 600m: the fist boulders on the North (left of the road) are gathered together in the "Apremont Ouest" area, just before an old parking lot. It is also possible to follow a path with yellow marks from La Caverne aux Brigands.